First-ever image of a black hole, via radio-telescope. Wow – What a shock of disbelief and sadness, to see images of the Notre Dame cathedral engulfed in flames. Now of course we know that any phenomenon that appears is destined—at some point—to disappear. But in all kinds of relative contexts, there’s genuine value in preserving/reproducing certain things—and (imo) the Notre Dame cathedral is one of these. In the Hindu triumvirate of Brahma-Vishnu-Shiva, it’s Brahma-the-creator and Shiva-the-destroyer that tend to get the most press. We don’t hear as much about Vishnu-the-preserver. Maybe it’s because his task is ultimately futile? But it’s not just France that’s mourning this loss; and feeling immediately inspired to support a rebuild. There’s something about a cultural beacon and architectural gem such as the Notre Dame cathedral that touches the hearts of anyone sensitive to beauty: its power to engender aesthetic appreciation and awe, and become a portal to the Divine. Works of art that are labors of love embody and emanate love. And like a well-aged wine, the effect ripens, deepens, becomes more subtle and sublime; as the cathedral is maintained and cared for, over time. Anyway, the good news is that the same cyber-technologies that allowed images of the fire to be transmitted worldwide also make possible the immediate transfer of euros, dollars, pesos, yuans, etc.—to support the rebuild. If so inspired, you also can chip in—via organizations such as Friends of Notre Dame or a host of others that are accepting donations to begin the restoration and set the stage, perhaps, for another 900 years of appreciating the sublime beauty of this cathedral. 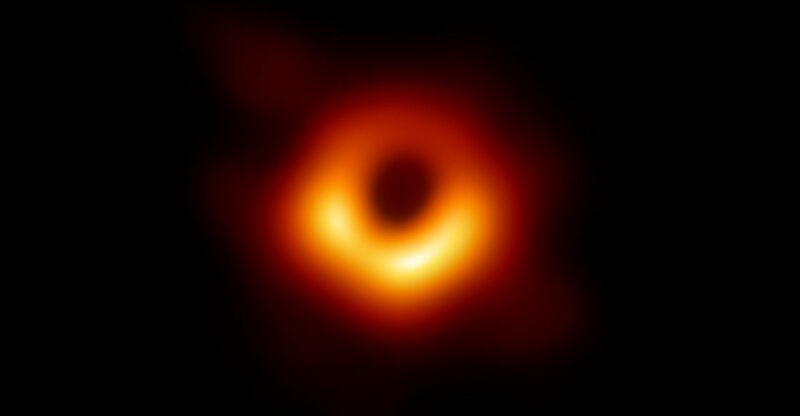 In other news, astrophysicists last week unveiled the first-ever photograph of a black hole—which is very cool. What makes this an amazing accomplishment is, for one, the fact that it required the technological wizardry of creating something like an earth-sized telescope: The readings of eight separate radio-telescopes—distributed strategically across the world—were coordinated. These sound-wave recordings were then translated into the visual image of the black hole. In addition, the photo serves as additional verification of parts of Einstein’s theory of relativity that predicted the existence of black holes. The wow-factor of us humans getting a visual glimpse of a black hole is akin to a single-celled protozoa granted the experience of seeing the Notre Dame cathedral through human eyes. In both cases, what’s required is a massive augmentation of the range of our (or the protozoa’s) sensory organs. No matter how wide we open our human eyes, or how furiously we squint, we will never be able to see—with our naked eyes—what the photograph of the black hole indicates. We’ll never be able to directly perceive what those eight telescopes, together, were able to record. But the human body-mind has its own version of a “coordinated telescope” process happening more-or-less continuously. How so? In the same way that the data recorded by the eight telescopes was gathered together to produce the black hole image—so it is that our two eyes, two ears, nose, tongue, skin and mind collaborate to identify/project the images of our immediate surroundings, moment by moment. It’s basically the same process, just at a vastly different scale.